Orangutans, the fuzzy-haired, adorable primates who inhabit the jungles of Borneo and Sumatra have been declared as ‘endangered’ for only about 7000 orangutans currently exist in the wild, according to the World Conservation Union. As a result, they are a highly protected species in countries like Malaysia and Indonesia, where they are resident. 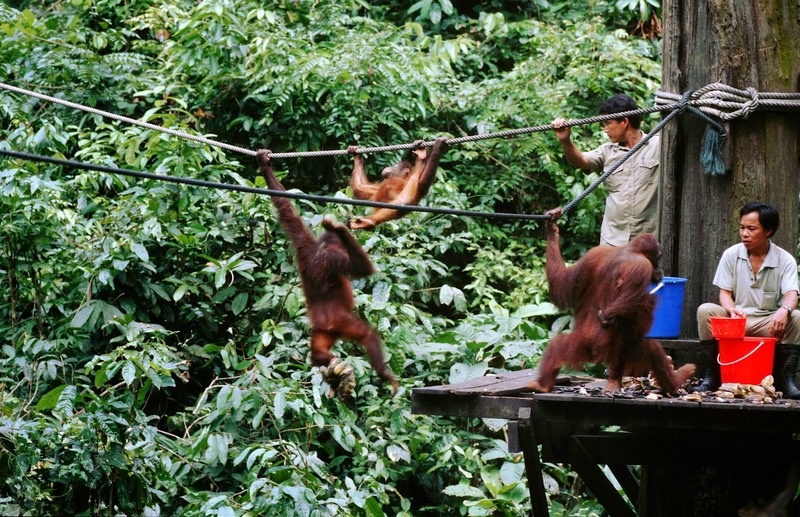 In Malaysia, several rehabilitation centers have been set up to rehabilitate orphaned and rescued orangutans so that they can be eventually returned to the wild. 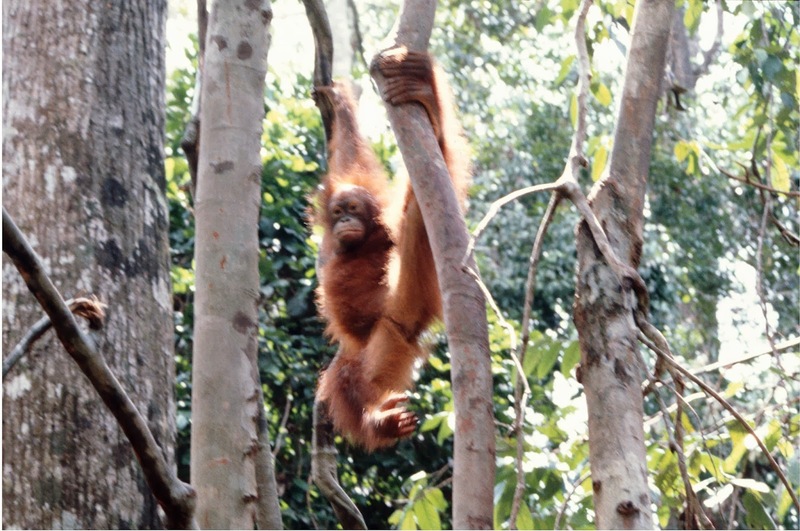 However, when visitors travel to Malaysia to see orangutans, they prefer to spot them in the wild. This is not too difficult in Malaysia for the country hosts various expansive nature reserves where orangutan-spotting adventures are offered. Such adventures are a treat for children as well as adults. The Kinabatangan Wildlife Sanctuary is located within a narrow strip of forest situated near palm oil plantations and along the Kinabatangan River, the second longest river in Malaysia. The sanctuary hosts much native wildlife like saltwater crocodiles, proboscis monkeys, Asian elephants, Sumatran rhinoceros and orangutans and is accessible by road from the town of Sandakan. 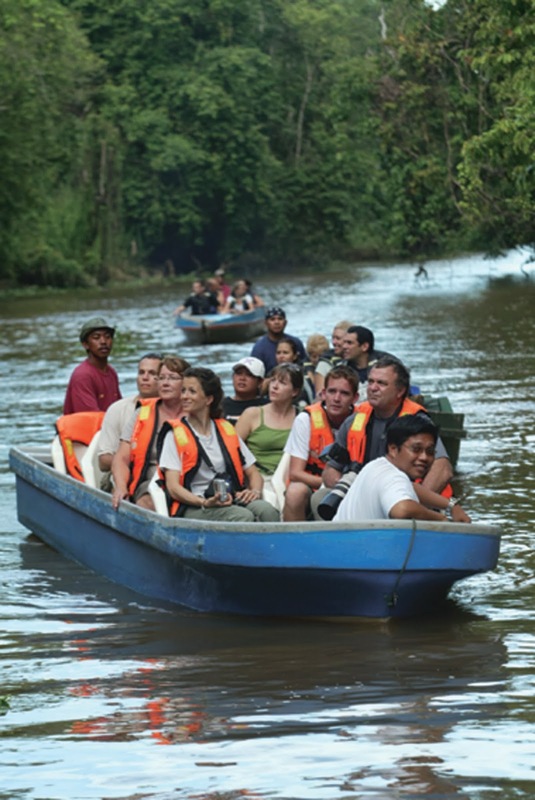 Various tour operators offer river cruises on the Kinabatangan River, from where visitors have a chance to spot the area’s many inhabitants. The Danum Valley Conservation Area is a lush, densely forested jungle enclave home to much endangered fauna like orangutans, sun bears, clouded leopards, bearded pigs, pygmy elephants and more than 300 species of birds and reptiles Lahad Datu, is the access town for the area and various tour operators located here offer jungle treks and wildlife spotting tours to this lush valley besides the Danum River. The Tabin Wildlife Reserve is another tropical jungle enclave near Lahad Datu, which provides much opportunity to spot orangutans. However, unlike the Danum Valley Conservation Area, the lowland rainforest in Tabin have been logged previously and thus are not as rich in wildlife. The Batang Ai National Park in Sarawak is a relatively unspoiled nature reserve, yet to feature on the tourist map. The park is accessible via road transport from Kuching and features jungle trails. Plan on staying a few days at the park if you wish to spot orangutans.